"I like everything here. 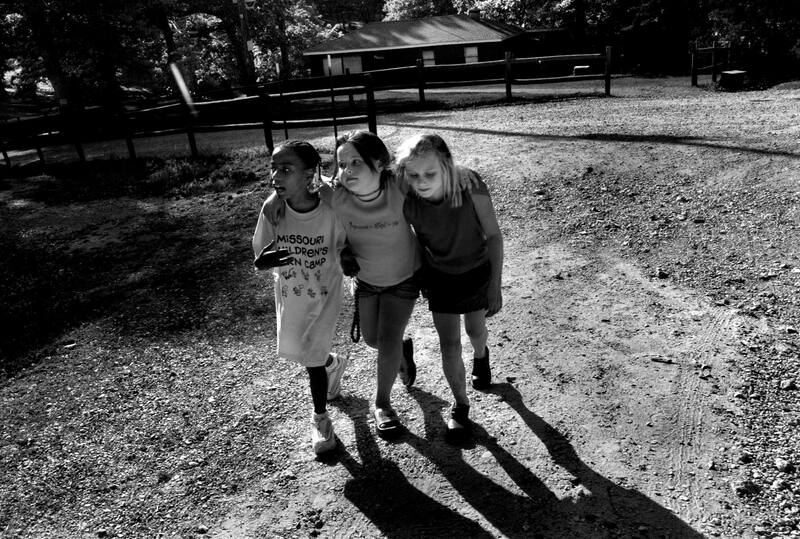 You get to meet new friends and a lot of different people," said Vika Himpel,8, of Baldwin, far left, who walks to the dining hall Friday evening with her cabin mates, from left to right, Shonta Robertson,8, of Florissant Jamie Anderson,8 of Kansas City,Mo., at the Missouri Children's Burn Camp in the Lake of the Ozarks. Himpel was burned in an apartment fire in Russia when her head caught on fire.